These delicious cakes were made yesterday. 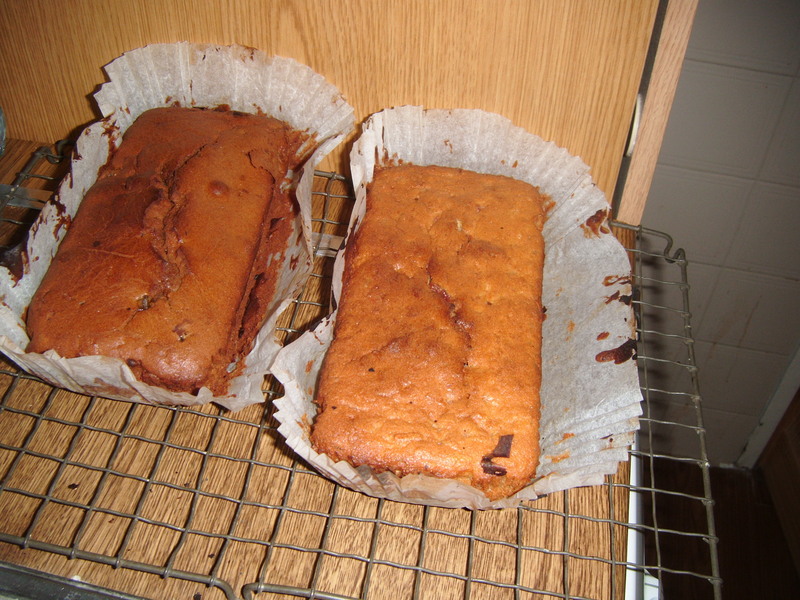 The one on the left is a coffee and glace ginger cake. It gives the cake quite a crunch and the texture is superb. The second is a brand new cake for 2014, it is an apple and cherry cake using fresh Jonagold apples which this time have been grated into the basic sponge mixture and glace cherries added for a bit of sweetness and also texture. The second cake has yet to be tasted as I thought I would leave it a couple of days so that the flavours intensified and added to this new cake. I would say that the second cake more so than the first could be used as a dessert cake and could be served with ice cream or cream depending on your preference. The apple and cherry cake tastes quite sharp with the grated apple, but the sweetness is added with the diced cherries, another dimension has been added to the flavour, now there are endless possibilities for the rest of 2014. This entry was posted on 26/01/2014, in New Cakes and Ideas 2014, Uncategorized and tagged delicious cakes, dessert cake, ginger cake, glace cherries.